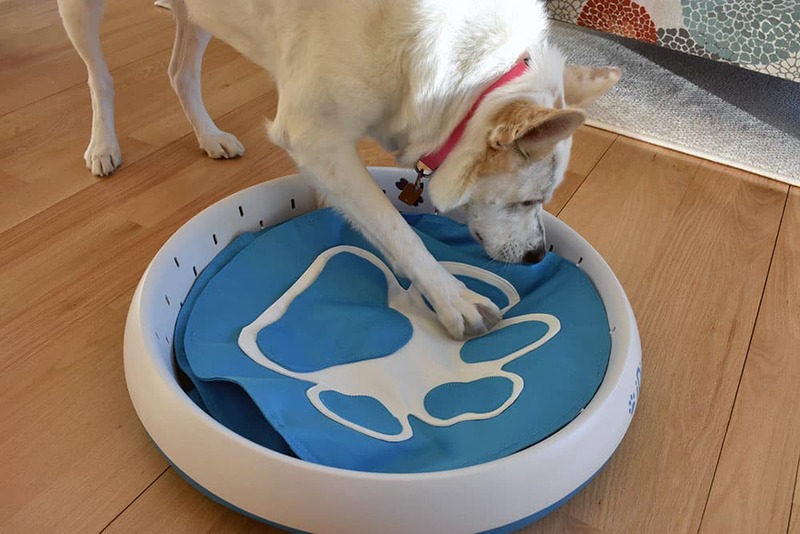 iDig by iFetch is an incredibly innovative product that enables mental stimulation through puzzle solving while also satisfying a dog’s natural desire to dig (and hunt!). It’s durable enough for large dogs yet still easy for small dogs to use. We highly recommend. If you follow us at all, you know how much we love ball launchers for providing incredible exercise, training, and mind stimulation for dogs – and iFetch topped our list. 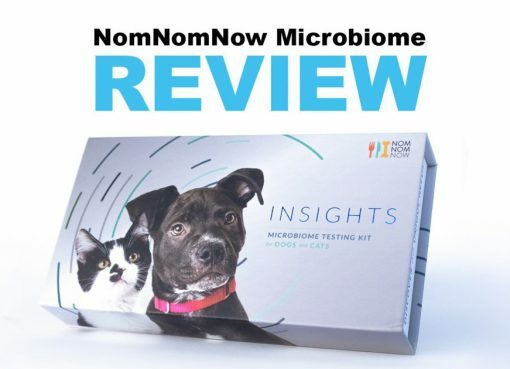 This same manufacturer recently invented yet another creative mind-stimulating game for our furry pals, but instead of a game of fetch, iFetch focused on a dog’s natural (and sometimes destructive!) desire to dig. Let the diggers dig! 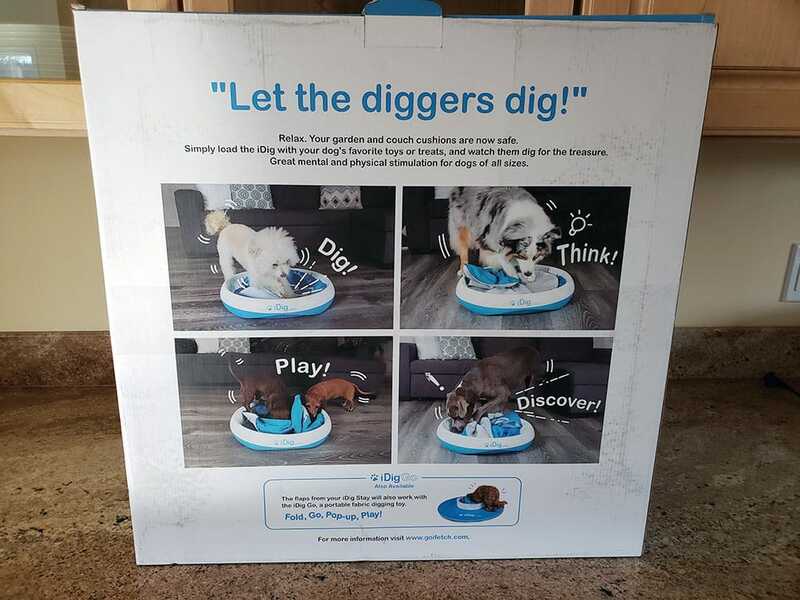 Finally, a positive outlet for your dog's natural digging behavior. 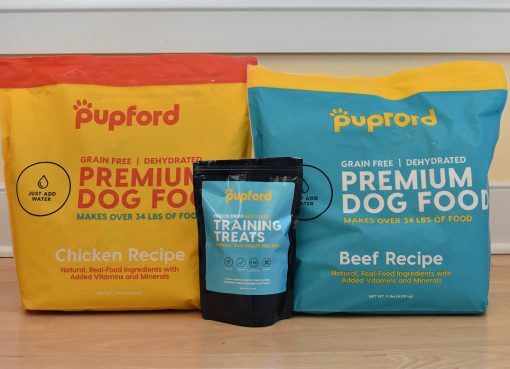 Bury the treasure: load the pockets of the idig flaps with your pup's favorite toys and treats and encourage them to "get it!" or "find it!". Tire them out: the mental energy It takes to figure out how TO uncover the "loot" will tire them out just as much as physically digging. The game consists of simply hiding treats or dog food within the various pockets and layers of fabric. There are three different layers of heavy duty fabric and each one has about 3 different pockets in it. 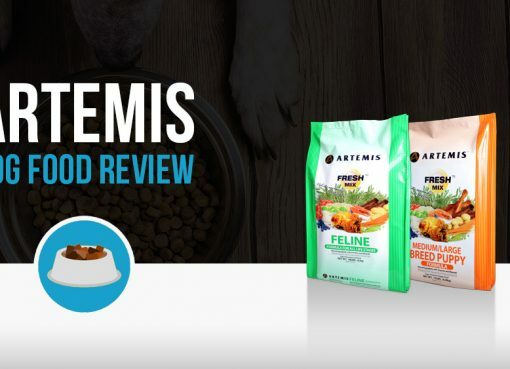 The middle layer also has a mesh material that lets your dog’s nails grab onto something, which really initiates the digging and allows them to pull the flap open. We bought one on Amazon last week to test out, and this immediately became Sasha’s favorite game. 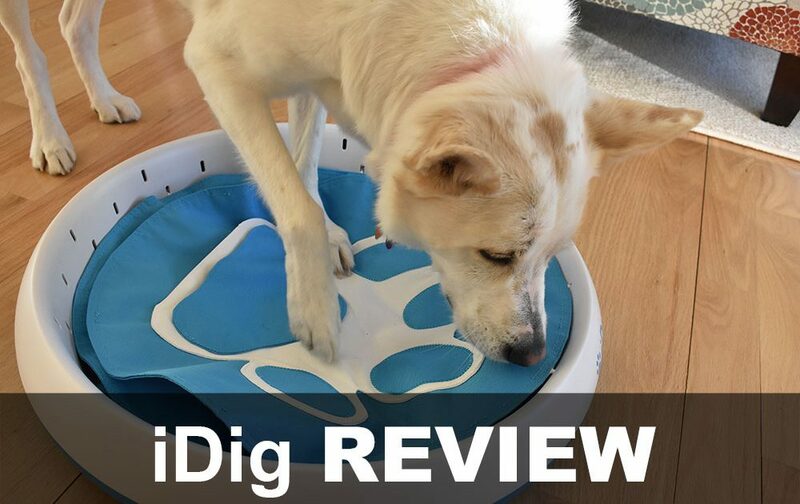 Let’s take an in-depth look at the iDig toy so you know exactly what it is and if your dog will love it as much as Sasha! Note: For this review, we’re using the iDig Stay. Keep reading below for more info on the differences between their two models. I was surprised to see the UPS driver bringing the retail-looking iDig box to my door rather than being in a plain brown box like most items. All of the details and photos are printed right on the box, so I was a bit nervous at first that this was somehow shipped without proper packaging, but rest assured – this is how it’s intended to arrive. The box was incredibly durable and sturdy, so there was no chance of it being damaged. However, this is something to keep in mind if you’re having it delivered when you are not home – people will see what it is. As I was bringing it inside, my next thoughts were: this thing is BIG! The unit comes pre-assembled, resulting in the large box since the product isn’t condensed inside. But that sure makes “setup” easy! There really is nothing to it since there are no electronic pieces or batteries. 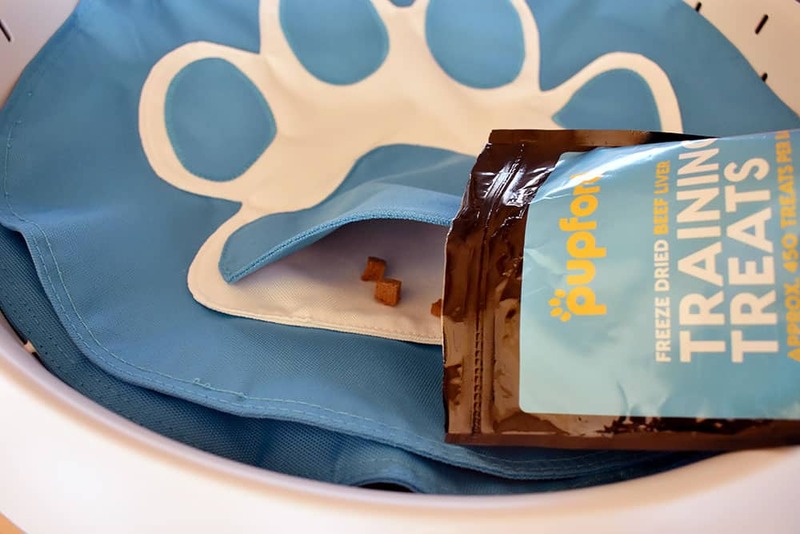 Simply remove the packing materials, unwrap the plastic, and hide some treats! We like to use very low calorie treats for this, that way you can add more to each pocket and really amp up the fun. Using kibble during dinner time is also a great option. iDig comes in two different versions: iDig Stay and iDig Go. Both versions work the same way, the difference is in materials and portability. The standard iDig Stay is a hard-shell durable version intended for use at your home and is great for both small and big dogs. The iDig Go on the other hand is a pop-up flexible version suitable for taking with you on the go. Even though we recommend the iDig Stay for bigger dogs due to better stability, the iDig Go is still great if you need a mental toy for keeping your big dog busy on a trip. I will preface this by saying our tester Sasha can usually pick up on a mind stimulating game pretty quick, especially when there’s food involved! Take a look at the video below, this was her first interaction with the iDig. We never showed her that there was food in the pockets. After enough sniffing around, she realized she can paw at the fabric and shove her nose under it to snoop around. She definitely utilizes sniffing more than digging, but that’s right up her alley. But what we love the most about iDig is that there are enough pockets and layers that it doesn’t become as repetitive as many other toys out there. It consistently seems new to her, and some of the pockets are tough for her to get into. I know we’ll be getting plenty of use out of this in the future, which makes the price totally worth it. As time went on, she began using her paws more to lift the flaps. iDig is made with super durable plastic and heavy duty fabrics. And like I mentioned earlier, the fact that it’s one solid unit and isn’t pieced together by the customer really adds to the durability. 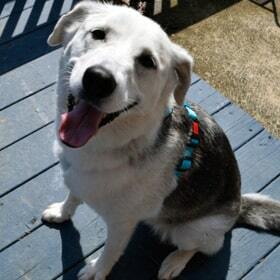 Sasha is a 55lb shepherd mix and the fabric withstands her heavy tiger-like claws without issue. Cleaning is also a breeze – simply unhook the fabric flaps and toss them in the washer. If you have a big slobbery dog like mine, you’ll also want to wipe down the interior of the plastic. At its core, iDig is a very simple idea. But it’s executed flawlessly, and that’s what makes the price worth it. Since buying it, we’ve used it daily and plan to continue doing so. Sasha gets really excited very time we bring it out to hide some treats and we love that we can clearly see her mind at work while playing with it. I highly recommend this toy!